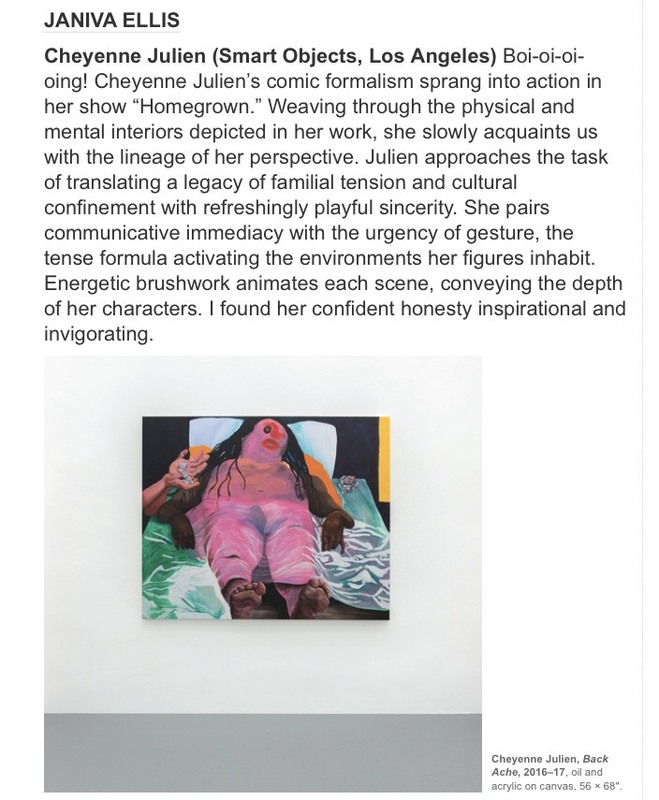 SMART OBJECTS presents Homegrown, a solo exhibition of new work by Bronx-based artist Cheyenne Julien. Growing up in The Bronx , the sidewalks and streets were our playground. As a child, my dad would often take my brother and me to play in the nicer parks of Manhattan. From a young age, I realized that these parks were meant for white children. I quickly learned to find the beauty I longed for in the place where I lived – in the flowers that sprouted through the cracks of the sidewalk. I currently live in my childhood home, a high-rise apartment complex built in the Brutalist architectural style. Its architect, Paul Rudolph, had left the raw concrete material visible; what was a futuristic and minimal aesthetic to him felt like prison complex to me. Coming from this background, I am very aware of the way my environment has played an important role in my life. Understanding and interrogating spaces have, therefore, become very important to my experience and work. Since landscapes are artifacts of past and present racisms, they embody generations of sociospatial relations, what might be called the “sedimentations of racial inequality” (Oliver and Shapiro 1995:5). Similarly white privilege, as a form of racism, is spatially expressed; indeed it is partially contingent upon a particular set of spatial arrangements (Pulido 2000). Being pushed into a particular space does not allow us to see what is outside of us. Within this, black people can re-imagine and re-shape their environment. Cheyenne Julien (b. 1994) lives and works in The Bronx. Julien received her BFA in Painting at the Rhode Island School of Design in 2016. She was a participant at the Skowhegan School of Painting and Sculpture in 2016. Julien has also participated in artist residencies at the OxBow School of Art in Saugatuck, MI in 2016 and with the Vermont Studio Center Fellowship, Johnson, VT in 2016. She was awarded the Bronx Recognizes Its Own (BRIO) Grant from the Bronx Council on the Arts in 2017 and the Florence Leif Award from RISD in 2016. Her work was recently exhibited at Loyal Gallery in Stockholm and White Cube Bermondsey in London for the survey Dreamers Awake.